Winner of the Cadillac People’s Choice Award at the Toronto International Film Festival 2009 ‘The Topp Twins: Untouchable Girls’ tells the story of the world’s only comedic, singing, yodeling lesbian twin sisters, Lynda and Jools Topp, whose political activism and unique brand of entertainment has helped change New Zealand’s social landscape. In the process they have become well-loved cultural icons. 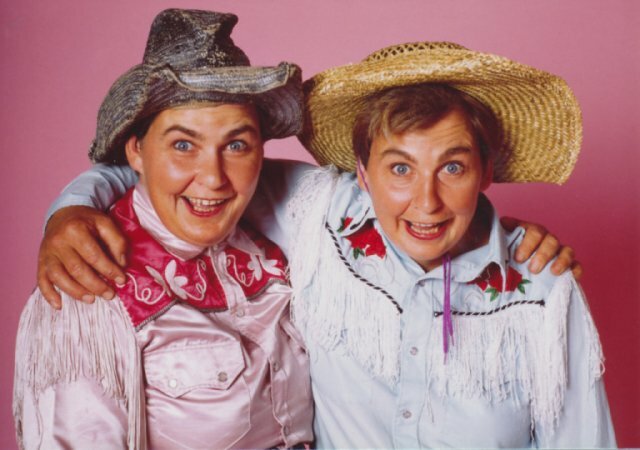 Imagine a cross between the Indigo Girls and the Smothers Brothers, and you'd have the Topp Twins, New Zealand's finest yodeling country-western-and-comedy lesbian sibling duo. An irrepressible sense of fun. A moving and inspiring true story. [...] intimate, surprisingly touching tale of two loving, talented siblings.[...] a funny and soulful portrait that's bound to make you a fan. [...] Astonishing activist history.[...] The Topps are pure joy. [...] Inspiring,[...] will surely earn them scores of new stateside fans. it's so darn fun to spend time with the likable stars of The Topp Twins: Untouchable Girls. This award-winning documentary has you falling in love with two of the crazier people you've never met. This is the rare documentary that actually does indeed inspire, uplift and entertain. A phenomenon you won't want to pass up.